Today, the Senate Judiciary Committee began its confirmation hearing on Judge Brett Kavanaugh’s nomination to the Supreme Court. And while most would rightly expect it to be excessively partisan, the first hour was a food fight. 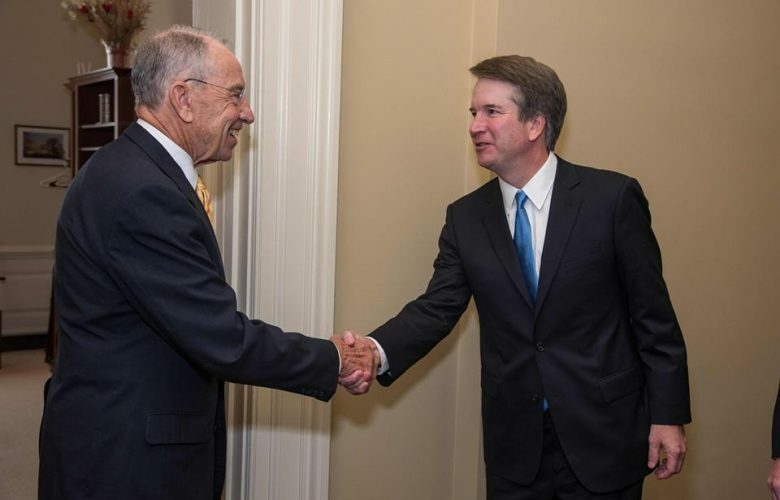 Chairman Grassley could not get through two sentences of his prepared opening remarks before nearly every Democrat member of the committee interrupted him, demanded to be heard out of order, made procedural motions to end the hearing before it started (which Grassley ruled to be out of order), and complained about inadequate access to records of Kavanaugh’s tenure as White House Staff Secretary. Meanwhile, over the course of the day, more than five dozen spectators loudly disrupted the proceedings and were removed by Capitol Police. Very little of the day’s pandemonium had to do with the nominee himself, who said hardly a word until his opening remarks at the close of the day. Most of the day was reserved for the Senators to make opening statements. And amidst the partisan rhetoric on both sides, a theme emerged that actually bears on the nomination. To wit: many members of the committee belabored the trope that textualist and originalist jurists like Kavanaugh have an intrinsic bias that inexorably leads to them to rule against individuals and in favor of big business. Of course, this misrepresents the outcomes of hundreds of cases by reducing complex legal claims, defenses, and procedural issues to blunt tribalism: is the loser one of ours, or one of theirs? But worse, it pretends that these very senators have nothing to do with the laws that judges interpret and apply. When legislators complain about the faithful application of the law, in reality their complaint is that the laws they enact fail to do what they wish they did. Now, the blame for that perceived defect lies with Congress, not the judges.